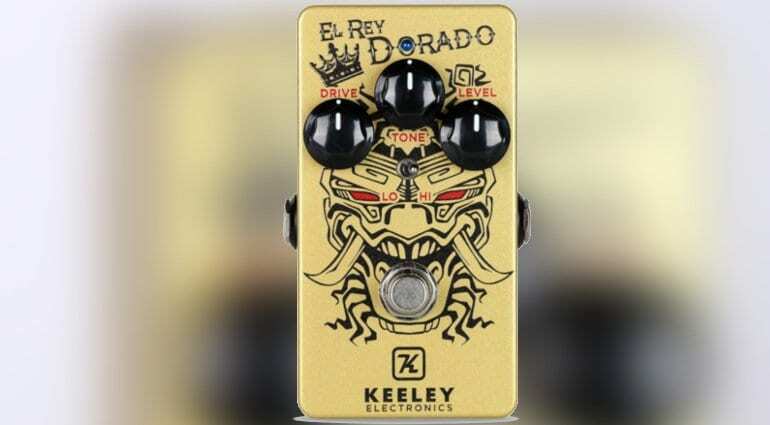 The new Keeley El Rey Dorado is a ‘British’-sounding overdrive pedal based on that old and often sought-after Marshall JTM Plexi tone. 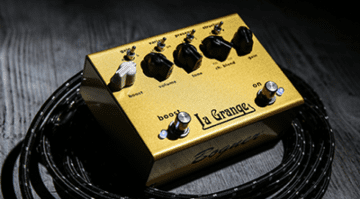 Not the first of its kind, it competes with a gamut of existing units like the Suhr Mini Riot, Bogner’s La Grange and the Radial Hot British, to name but a few. 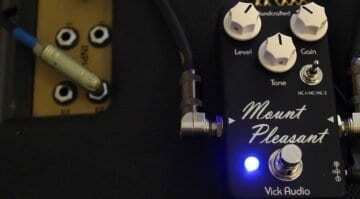 So what does Robert Keeley’s latest pedal bring to the table? The Marshall ‘Plexi’ tone is, for many players, the epitome of a solid and uncomplicated guitar amp. Stick your guitar lead in, adjust the Gain controls and it sounds good. The EQ is there to sculpt your tone to taste. 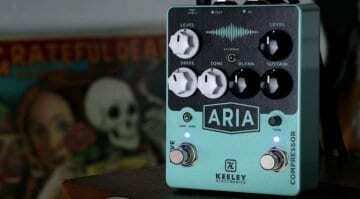 Keeley’s new pedal distils the amp’s circuit character/tone into the El Rey Dorado pedal. This little ‘Plexi’ gold-coloured pedal has controls for Drive, Tone and Level – so all you need, really, to get a good solid tone. Apart from that, there is a small mini-switch which toggles between High and Low. Low is louder, centred and has less harmonic overtones, while High has more compression and “harmonics”, and sounds tighter overall, according to Keeley. Whilst the first 100 hand-built El Rey Dorados have already sold out, Keeley has a new batch ready for sale by 1st May, so you should be able to get your hands on one easily enough. 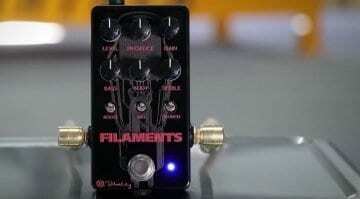 Brass tacks: Does it sound like a Plexi? I’m sure this may divide opinions. There will be the ‘cork-sniffers’ arguing that it sounds nothing like a real vintage Marshall amp. But I think it sounds pretty decent in the demo video below, and manages to evoke that classic rock tone that associates with some of rock’s greatest players. Priced at USD 169, it will certainly be a lot cheaper than a real Plexi amp, cost less to maintain and won’t destroy your hearing while delivering that cranked amp tone we all know and love. Yes, there is already a load of good quality ‘Plexi in-a-box’ pedals, but I reckon there is always room for another one!